Easy Ways to Prevent Diaper Rash! diapers. Here are a few easy ways to keep your baby from getting a diaper rash in cloth diapers! 1. Don’t keep baby in a diaper for too long. A lot of diapers can last two to three hours or more without leaking, but it’s not great for baby’s skin to be sitting in a wet diaper. The best way to prevent baby’s bum from getting red is to change baby shortly after he or she wets the diaper. Baby should also be changed immediately after pooping. 2. Use a cloth diaper safe detergent. Make sure you are a using a detergent that is safe for your diapers and are only using the recommended amount of detergent. Each detergent manufacturer is different, so what is the amount for one may not be the recommended amount for another. Using the wrong kind of detergent, using too much detergent or too little detergent can cause buildup which can cause diaper rash. 3. Strip your diapers periodically. I usually strip my diapers every couple of months. There are a few ways to do it, so it may take a few times to find what works best for you, but I just use a squirt of dawn dish detergent in a hot wash. Then I do a few cold rinses until all the bubbles are gone. This removes all the buildup in the diapers that can cause a diaper rash. Plus it gets your diapers really clean, which is always a good thing! 4. Use a natural, cloth diaper safe diaper cream. I use coconut oil. Coconut Oil works great as a diaper cream because it moisturizes and it’s an anti-fungal and anti-bacterial. It works great for keeping yeast away which can be a rough rash to get rid of! I use coconut oil on my little guy even when he doesn’t have a rash, just to keep away yeast and keep his bum moisturized! *Apply sparingly. If you follow these easy tips you will likely have very little episodes of diaper rash! I do all of these and my son rarely gets a rash in his cloth diapers! 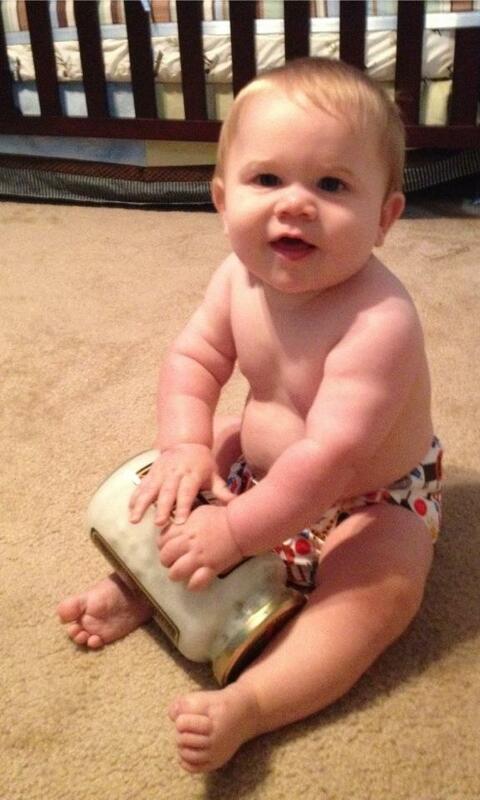 With a little extra care your baby really will get less diaper rash in cloth diapers! Michelle is a cloth diapering, babywearing, stay-at-home mommy of two boys! She is the mom behind the blog The Not-So-Secret Confessions of a Second Time Mom! A question about the coconut oil.. Is it the solid oil I buy at TJ's? Or is there some other kind? That one is labeled it needs to be refrigerated but that's awfully cold for the bum and hard to get out of the container too! Tips?? 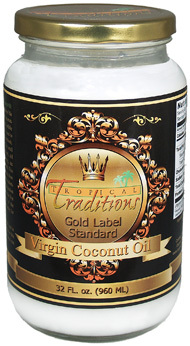 Most coconut oil does not require refrigeration, though the consistency will change based on the temperature (mine is somewhat solid in the winter, and much more gooey in the summer). I'm not familiar with Trader Joe's coconut oil, but it's readily available on Amazon.com if you're worried TJ's will spoil.